AIR POLLUTION: Israel's major cities — Jerusalem, Tel Aviv and Haifa — as well as industrial centers like Ashdod, face severe air-pollution problems, primarily from industrial and automobile emissions. In 2003, the Israel Union for Environmental Defense (IUED) published the results of a study it conducted with the U.S. Environmental Protection Agency that indicated that 1,400 Israelis die each year from exposure to air pollution in Tel Aviv and Ashdod alone. This is more than twice the number of Israelis who die annually due to traffic accidents and terrorist acts combined. One out of six Israeli children suffers from asthma, primarily caused by air pollution. WATER POLLUTION: All of Israel's rivers, except those flowing through sparsely populated areas, are much more polluted than rivers in Europe and the United States. For example, the Kishon River has been especially hard hit because for more than 40 years Haifa Bay's chemical industry discharged its raw industrial wastes directly into the river. Israel ranks 88th out of 122 selected countries in terms of water quality, according to the 2003 United Nations World Water Development Report. Water quality is higher in some developing countries. A recent nationwide survey found that more than half of Israel's drinking-water wells are significantly polluted. WATER SHORTAGES: Potentially severe water shortages may become the most crucial problem that Israel will face, touching on its very existence. Since the mid-1970s, demand for water has often times outstripped supply. Israel is a semi-arid country where no rain falls for at least six months a year. While Israel was known as a country that practiced water conservation and pioneered the development of the drip irrigation method, the country recently has been using increasing amounts of water per person, often for non-essential uses. Israel's main water sources are expected to continue to decline, endangering drinking-water quality, and raising the specter that it will soon not be possible to supply sufficient drinking water. POPULATION DENSITY AND LOSS OF OPEN SPACE: Israel is one of the world's most densely populated countries. With more than 6.5 million people in a country about the size of New Jersey, Israel is more densely populated than India. Safeguarding its precious land resources is a major national challenge. This will be more critical as Israel's population continues to grow. Poor planning and improper development is leading to accelerated suburbanization in Israel's densely populated central region. Economic pressures for urban development are leaving towns bereft of parks, gardens and play areas that are essential to health and quality of life. WASTE DISPOSAL: Israel faces a solid-waste crisis due to increasing amounts of garbage and the country's meager land resources. Solid-waste disposal in Israel causes significant and irreversible damage to Israel's groundwater, air, soil and quality of life. In 2000, then-Israeli Environmental Minister Dalia Itzik stated that she regarded garbage disposal as Israel's number-one environmental problem. SPECIES EXTINCTION: Pollution, tourism and urban sprawl all lead to this pressing environmental concern. 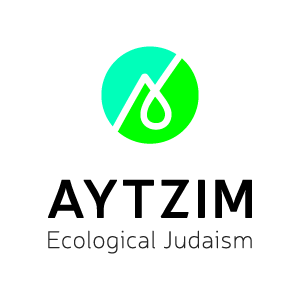 Many corals in the reefs of Eilat are threatened with local extinction, migrating birds find less land on which to forage annually along their migrations, and numerous animal species are threatened as their habitats are replaced by housing, highways and other development. DEATH OF THE DEAD SEA: One significant result of the water shortages in Israel is that the Dead Sea is shrinking rapidly. The Dead Sea relies on the fresh water of the Jordan River, and that once-wide river has become just a contaminated trickle, as water has been diverted for agricultural and other uses. As the sea's water disappears, large sinkholes are created that make it dangerous to be near the sea in some areas. "If, along the road, you chance upon a bird's nest, in any tree or on the ground, with fledglings or eggs and the mother sitting over the fledglings or on the eggs, do not take the mother together with her young. Let the mother go, and take only the young."